Here’s some brand new stuff that came out last week that I think is worth a look-see for someone with little to no history with comics. That means you should be able to pick any of these up cold without having read anything else. So take a look and see if something doesn’t grab your fancy. If so, follow the publisher links or Amazon.com links to buy yourself a copy. Or, head to your local friendly comic book shop. 1816 was called “The Year Without A Summer.” In the weird darkness of that July’s volcanic winter, Mary Wolfestonecraft Godwin began writing Frankenstein on the shore of Lake Geneva in Switzerland. But that is not where Frankenstein began. It began a few months earlier when, en route through Germany to Switzerland, Mary, her future husband Percy Shelley, and her stepsister Clair Clairmont approached a strange castle. Castle Frankenstein, some one hundred years earlier, had been home to Johann Conrad Dippel, whose experiments included the independent invention of nitroglycerin, a distillation of the elixir of life – and the transfer of a live soul into an awful accretion of human body parts! Mary never spoke of having entered the real Castle Frankenstein, stark on its hilltop south of Darmstadt. But she did. And she was never the same again – because something was haunting that tower, and Mary met it there. Fear, death, and alchemy – the modern age is created here, in lost moments in a ruined castle on a day never recorded. 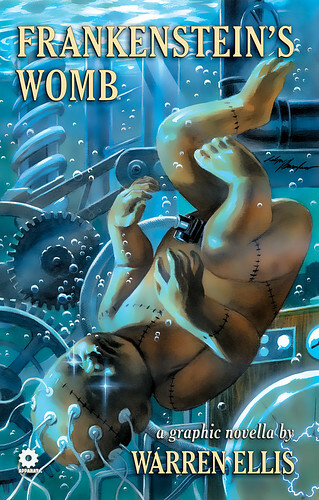 The newest addition to Warren Ellis’ Apparat line of original graphic novels has arrived! Following up the huge successes of Crecy and Aetheric Mechanics, Ellis turns his spark of mad genius to bring us a fantastical tale in this all-new original graphic novel illustrated in atmospheric perfection by newcomer Marek Oleksicki. Warren Ellis is kind of disturbed. In this case, it should be a good thing. Here’s a preview. A wry fable concerning the production of an impressive secret weapon whose promise goes unfulfilled. Elegant, meticulous and concise in both word and drawing, Gauld’s signature style graces the pages of this silver-cover board book. This 8.25 x 10.5 inch board book format is a bit unconventional but this looks too delightful to pass up. There are pictures of the book, interior pages, and other goodies to look at on Tom Gauld’s Flickr account. (I love the mock Google ads he does at the end.) You can also order this straight from the artist’s site, CabanonPress.com. Abstract comics? Don’t all comics tell stories? How can a comic be abstract? Well, as it happens, beginning with the experiments of Saul Steinberg, through some of the more psychedelic creations of R. Crumb and Victor Moscoso, and with increasing frequency in recent years, cartoonists and other artists have played with the possibility of comics whose panels contain little to no representational imagery, and which tell no stories other than those that result from the transformation and interaction of shapes across the layout of a comic page. Reduced to the most basic elements of comics — the panel grid, brushstrokes, and sometimes colors — abstract comics highlight the formal mechanisms that underlie all comics, such as the graphic dynamism that leads the eye (and the mind) from panel to panel or the aesthetically rich interplay between sequentiality and page layout. Abstract Comics, edited by Andrei Molotiu, an art historian as well as one of the best-known contemporary abstract-comic creators, is the first collection devoted to this budding genre. It gathers the best abstract comics so far created, including early experiments in the form by cartoonists primarily known for other types of comics, such as Gary Panter, Patrick McDonnell, or Lewis Trondheim, and pieces by little-known pioneers such as Benoit Joly, Bill Boichel and Jeff Zenick, as well as by recent creators who have devoted a good part of their output to perfecting the form, such as Ibn al Rabin, Billy Mavreas, Mark Staff Brandl, and many others. It also features first attempts, commissioned specifically for this anthology, by well-known cartoonists such as James Kochalka, J.R. Williams and Warren Craghead. 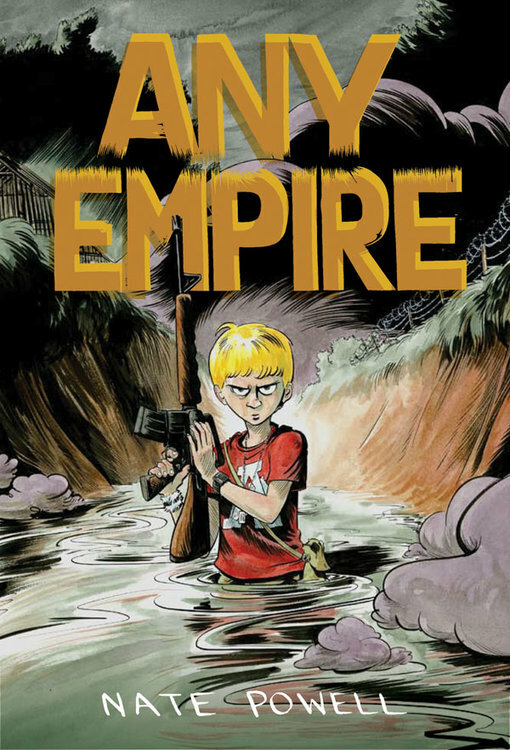 Comprehensive in scope, Abstract Comics gathers work not only from North America, but also from France, Switzerland, Great Britain, Australia, and New Zealand, showing the rise in popularity of the genre to be a true international phenomenon. In the process, the anthology highlights the wide variety of approaches taken to the combination of abstraction and sequential art — approaches resulting in work that is not only graphically bold, but also often proves to be surprisingly humorous or emotionally disturbing. Even more unconventional and on the more avant-garde side of things. More proof that comics are truly an art form. They can be just as weird, surreal, absurd, artistic, expressive and transcendent as any other medium. 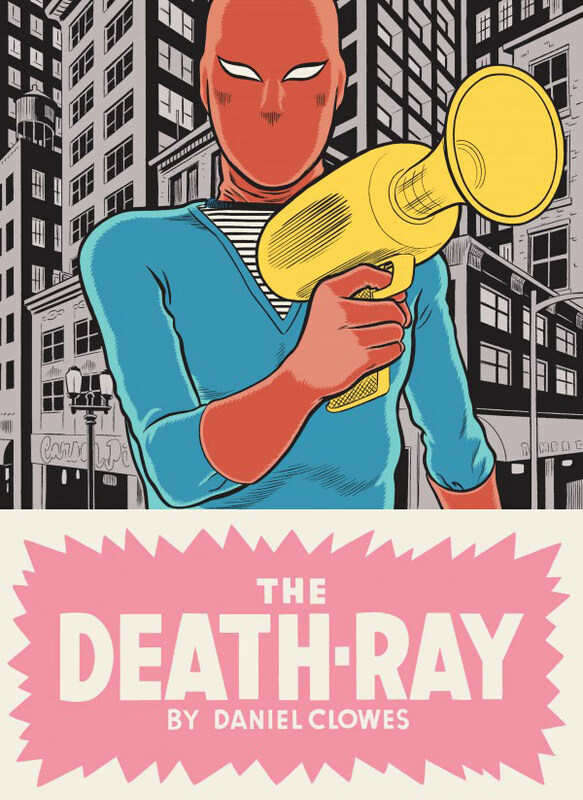 Fantagraphics has put up a Flickr slideshow of pages from the book. They also have a 20-page preview (PDF). I dare you to try this. In 2045, as Islam has overrun Europe and the West openly shuns monotheism, the Vatican funded, CERN Laboratories ‘discover’ that time travel is possible. The Pope orders the creation of a private army, and led by a few handpicked Cardinals and the finest graduates of selected war colleges, they travel back in time to 312AD – the reign of the first Christian Emperor, Constantine. Upon arrival, conflicting agendas, ideological differences, and personal greed see grand plans unravel. Pax Romana is the tale of 5,000 men sent on an impossible mission to change the past and save the future. At the end of the world, will they succeed, or will they fail? This politically driven sci-fi epic comes from the creator of the hit Nightly News! Collects the entire Pax Romana series with never-before-seen back matter! “Back matter”? Ew, what’s that? Is it like back fat? No, back matter is a term that someone, I think Warren Ellis (the disturbed writer mentioned above), came up with to describe exclusive content semi-equivalent to DVD extras but for comic books. Anyway, this is significantly more conventional after Abstract Comics, so if you’re not into that, some time traveling sci-fi adventure is probably more your speed. Although Jonathan Hickman doesn’t usually take the easy way out. In fact, he might be a bit crazy, too. Fortunately crazy is pretty entertaining if you don’t have to live with it. Here’s a preview of the first four pages. 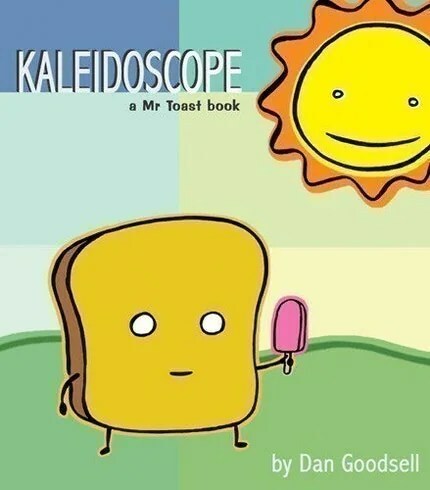 Kaleidoscope is a visual tour of the World of Mr Toast. No story, just a potpourri of comics, photographs, watercolors and paintings. Inside you will find humor and fun with Mr Toast and his pals, Joe the Egg, Shaky Bacon and Clem Lemon. Great for kids and adults of all ages. This looks absolutely adorable and hilarious all at once. At the publisher’s link above, you’ll find some preview pages, and you’ll also be able to buy it for a few dollars less. So simple as to be brilliant. Kind of a bizarre mix of comics this week, but I like it. I hope you find something you like, too!